It’s Medieval Monday! 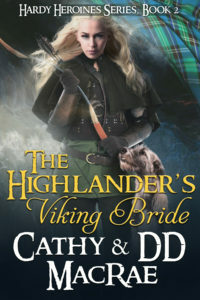 Today, I am honored to feature the talented Cathy & DD MacRae and the excerpt from their novel The Highlander’s Viking Bride. Skirting the red auras, Katja moved silently into the room, attracting no attention. Years of avoiding her father gave her the skill to move about the castle like a ghost, finding tremendous value in being invisible when the need called for it. 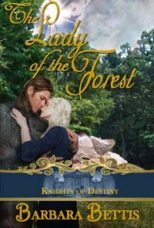 It wasn’t until she stood near the foot of the lower tables that anyone noticed her. Laird Sinclair’s eyes gleamed. Thanks for hosting me today, Laurel!! Love your blog! Thank you, I enjoyed the excerpt.